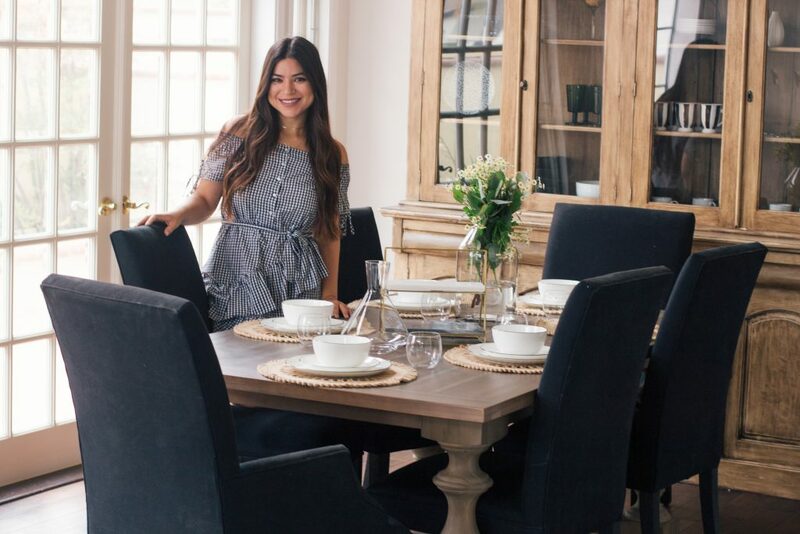 I have always loved hosting, I love having family and friends over for dinner, celebrating holidays in our home, and just love any excuse to fill people with food and drinks, to be honest. 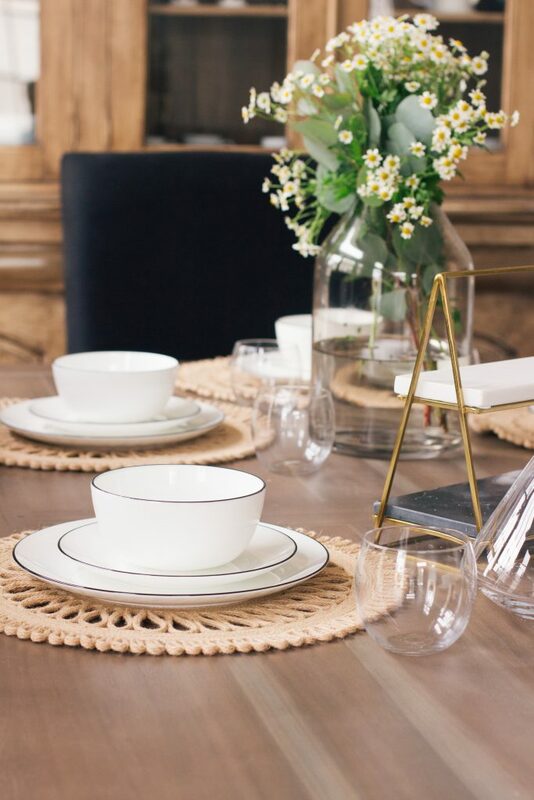 With as much passion as I have for hosting and as often as we host events in our home over the last 8 years, can you believe something I never purchased was a full place setting for our formal dining table? It is something that has always been on my bucket list, but what has happened over the years is I would be out shopping and would get so excited to see a random set of four kitchen plates here, find some pretty assorted bowls there, and over the years my kitchen cupboards have become an assortment of eclectic and mismatched bowls and plates. I wanted to find something uniform and simple but still classic and timeless. I knew the place to go for this would be my most trusted Home store, Macy’s. 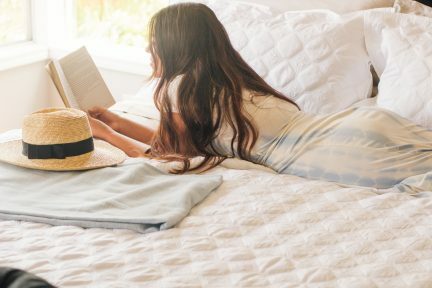 With so many amazing brands and options to choose from, I knew I would be able to find something that hit all of my hopes: classic, chic, timeless, quality. 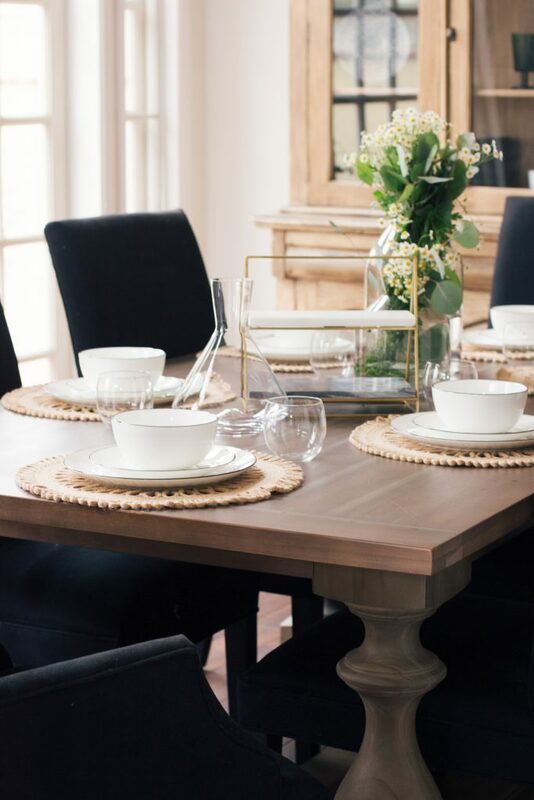 One of my favorite brands and a brand Darshan and I have purchased so many times, Hotel Collection, had so many dining sets to choose from and every option was beautiful and something I knew would fit the style of my home. Hotel Collection is a luxury home line that has been created exclusively for Macy’s. 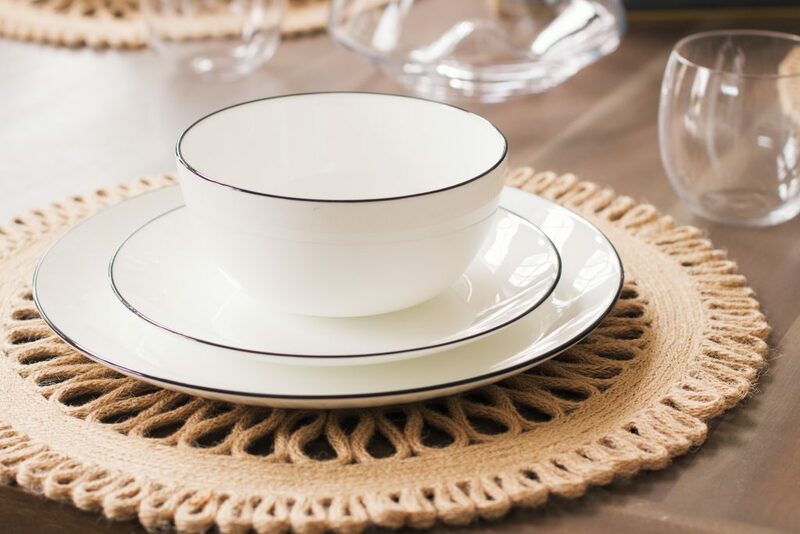 From kitchenware to bedding, bath, and décor items, there are so many items to choose from to fill your home and wedding registry. As I mentioned a few weeks ago after our kitchen update HERE, Darshan and I registered at Macy’s for our own wedding. 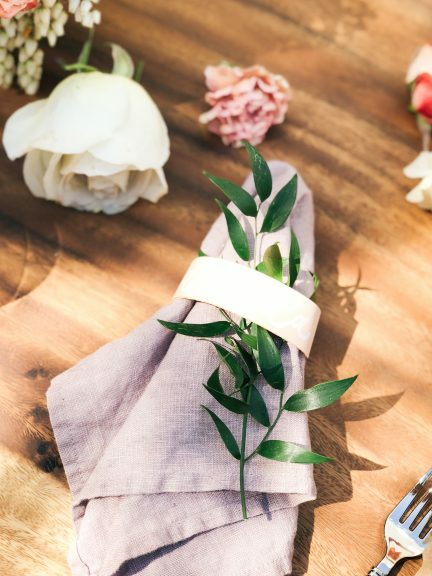 With all of the options available, the ease of registering online or in store, and then the option for your guests to shop online and ship straight to you or to shop in store, Macy’s is definitely the ultimate wedding registry location. Because they sell so many brands we love and trust we felt confident that no matter what we received that it would be useful for years to come and so far that has proven to be 100% true. You can create your own registry HERE. For my dining room entertainment set I wanted to go with a classic white set, but what I loved about this one was the added detail of the black trimming around the top. 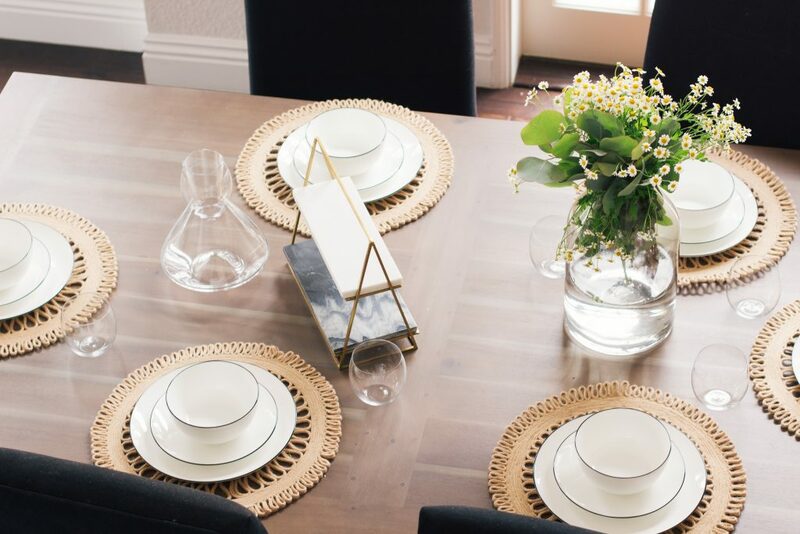 I feel like the black trim makes the pieces look more modern and whether I add more formal table décor or add casual touches, it is perfect for any event we host in our home. 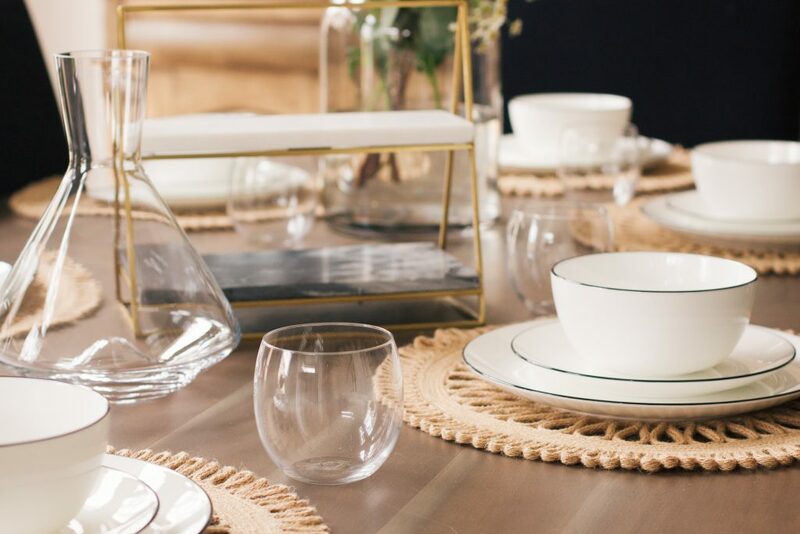 Of course any table setting is not complete without the perfect wine glasses and decanter; I always choose stemless wine glasses because I feel that it doesn’t spill over as easily and minimizing spills when hosting is key! 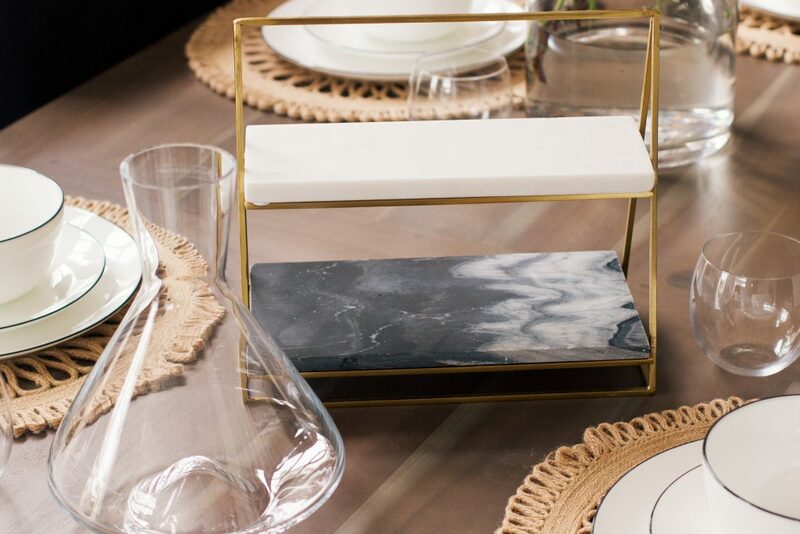 The beautiful marble serving tier from the collection is such a gorgeous additional touch; I am a sucker for serve ware and live for a great serving dish, this one is easily now the most unique of any that I currently own. After purchasing this entire set, I now see the value of having a complete and matching set. 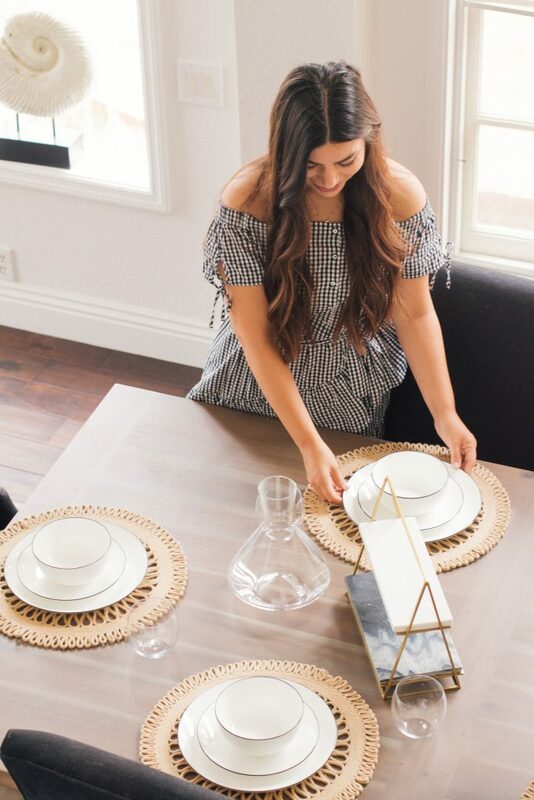 It would always be so stressful setting our table in the past, trying to get crafty and creative when selecting certain pieces to try to make the table look cohesive, and now having this collection made creating the perfect setting so easy and seamless. I love the welcoming vibe and the beauty it creates in our home and it makes me proud to use no matter who our guest is. 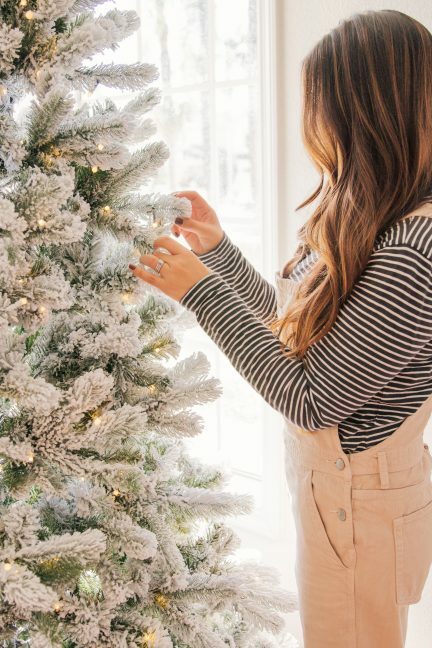 I honestly can not wait to host so many more holidays and dinners here in our new home; piece by piece and room by room we are finally really starting to make this place ours and love seeing each room flourish with character and love! 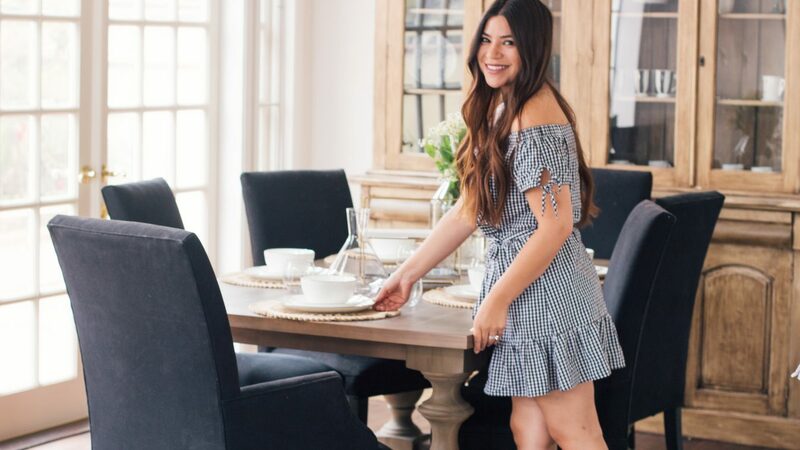 I think this dining room has quickly become one of my favorite rooms in our entire house… I can’t wait to continue to share more of our home with you over the next couple of months (and years)!